My cousin said that flip flops and sandals are the way to go in the summer, even for guys. I know they are popular with college students but I am in my 30sThey're comfortable, they're cool...but can't help but feel slightly silly or feminine wearing them. Am I crazy or does it take time to get used to them? If the flip-flops or sandles bother you, just go barefooted or wear high boots. Then, if you think that others consider you silly, you will know why. Really, people that matter, don't care what you put on your feet. The ones that care, don't matter. I personally would never go outside in flip flops. Its feminine in my opinion. I guess its because I see 100's of girls a day walking by me with their feet flapping with flip flops. Frat boys seem to love wearing them though. I myself have a pair of speedo water sneakers that I put on when heading to the beach. Wont be caught dead in a pair of flapping flip flops! heyman45...nothing personal but I believe it's silly to think that it's silly for a grown man to wear sandles. Sometimes it is just too hot for socks and shoes. 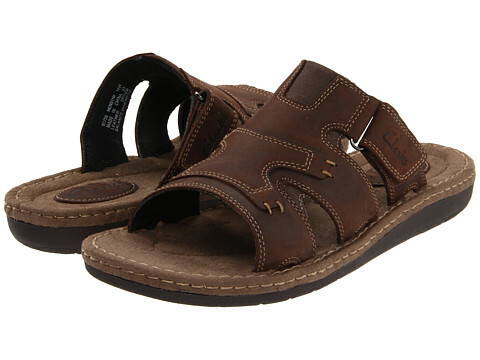 I don't like to wear flip flops outside the house/beach, but I do like some of the leather sandals for men. In the shower at the gym is alright. Out in the boat on the lake too. Maybe just to run out to the garage or basement for something. Grown men over say... 21-25 out in public with them????!!! You're just a foot stomp away from jacking you for your wallet. Don't think so huh? A steel toe workboot ran down your shin and the deep rough tread stomped full force onto the arch of your foot. You used to have 50 bucks in your wallet. I have a graduation/4th of July party to attend this weekend. Would sandals like these be acceptable or should I stick with shoes? It's going to be really hot but I never really wore sandals at such a large gathering before and it might feel awkward to wear them all of a sudden. A lot might depend on where you live. If it's in the southern, hot, sweltering part of the US, And you wear shoes, you might be the only one there with them. It sounds as if you are rather young. Spend a lot more time looking at people. You may be surprised at what you see. As for sandles looking feminine......surely you don't think those sandles in the picuture look feminine!!!! Those are more like shoes IMO. I was referring to flip flops. You know, like the gals who are hot stuff and wearing sort shorts wear too. I HAD to weigh in on this one! My biggest pet peeve in life-aside from lemurs-is men wearing flippies or sandals! Just say no! Yes, it's a bit prissy, but not just that. Most men do not take care of their feet, don't get pedis, I hate to even get started on the toenail situation...so please just get some awesome boat shoes or tennies. It's also hard to take a guy seriously if he is wearing them. Please don't look like you are a kid on the playground. The only exception, and it's marginal, is the beach proper. Not the park, please not hiking...only the beach. And for the love of God-no socks with sandals for those of you who won't listen.